Danish hamburger or Hakkebøf med bløde løg, is a traditional danish dish. Normally it is served with a brown gravy made with the dripping from the frying of the hamburger and onions. I rarely make brown gravy, but my mom always made it, she put the onions in the gravy, making it extra yummy. But if you want to indulge you can serve the hamburger with béarnaise sauce. A hamburger/hakkebøf is a cheaper take on a steak dinner, great for a weeknight. Form 3-4 round hamburgers season with salt freshly ground pepper. Fry them in a little oil or butter on a large frying pan for 5-7 minutes on each side. Peel the onion and slices them thinly. Heat oil in a skillet over medium heat, Fry the onions until they get soft, translucent and get some golden caramelizing. Season with salt. Add a splash of water to prevent to much browning. 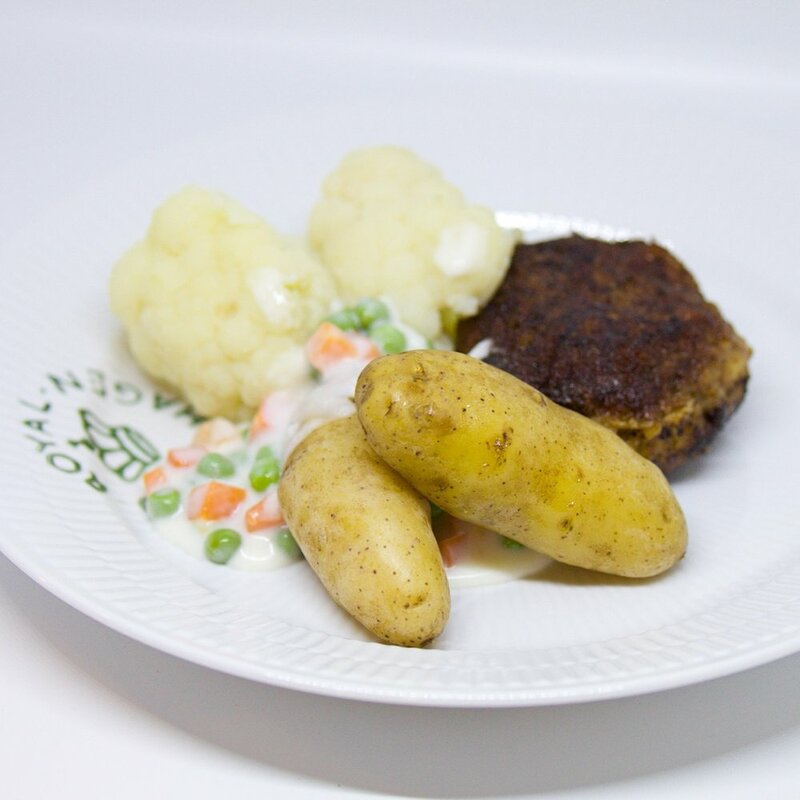 Serve the hamburgers with boiled potatoes, the soft onions and petit green peas.